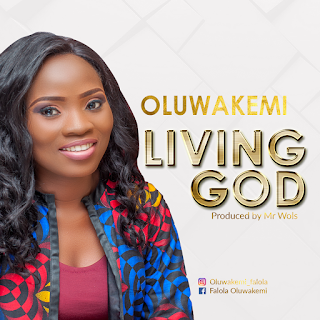 Oluwakemi Falola fondly called Oluwakemi is a Gospel Afro-Soul artiste releases her latest single titled 'Living God' - birthed from a deep experience of God's faithfulness and from a hope of the future. (Jeremiah 29:11). She explains that “I wrote this song at a time where the uncertainties of the future overwhelmed me. I used the song to assure herself that God is alive and he will take care of her”. The song starts with an acoustic feel accompanied with percussion before Oluwakemi’s sonorous voice is introduced into the song with a line from Psalms 121 talking about “how God never slumbers nor sleep”. She tells of how God is never tired to take care of his own, leading to a hopeful future for them, regardless of what the present circumstance is. The chorus is a declaration of faith that we serve a 'Living God' who is not dead, who never fails and who takes care of his own.